Apartment for 4 persons (about 71m²) with telephone, TV, radio and balcony, separate kitchen. The size of the 3-star Hotel Jagdhof is small. 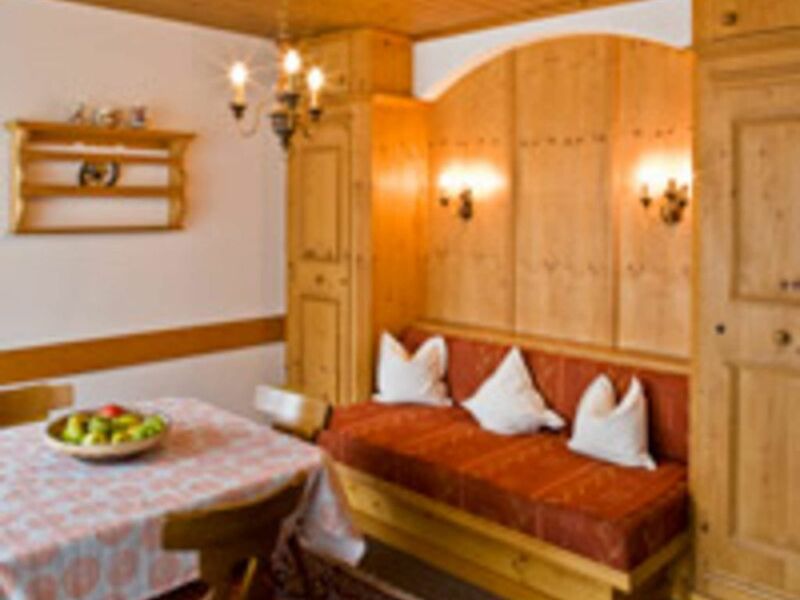 Its fascinating concept with rural Tyrolean charm is harmoniously combined with comfort, coziness and generosity. With great attention to detail an exceptional living experience has been created, where you feel at home. Comfortable rooms, spacious apartments and a soothing, informal and familiar atmosphere invite you to enjoy your precious holidays to the fullest. Turn your back on everyday life for a while and finally do what you feel like doing. The Zillertal helps you. There is nothing here that you can not do - even in winter! The excellent location, away from the heavy traffic (but only 5 minutes to the center) altitude valley station ZILLERTAL - ARENA, makes the Jagdhof the ideal starting point for all your activities, whether hiking, swimming, tennis, skiing, sledding, cross-country skiing and much more. It also gives you a wonderful view of the Zillertal mountains. The Wildauer family is looking forward to your stay!